The Daily Mail looks to have a couple of legal battles on its' hands after recent articles irked the celebrities being written about. George Clooney is unimpressed after an article appeared suggesting that his fiancee Amal Alamuddin's mother did not approve of their relationship. Angelina Jolie is also quite angry after a video of her in the early 90s was published while she was allegedly addicted to heroin. Clooney called the paper "the worst kind of tabloid" after an article suggested that Clooney's soon to be mother-in-law, Baria, had a major issue with their upcoming wedding over religious concerns as she is a practicing Druze member. The Daily Mail even went as far as suggesting that under Druze traditions, marrying a member of another denomination could result in the death of a bride. Clooney has strongly criticised the tabloid and made clear that Baria has no issue with the couple whatsoever. The Mail issued an apology to Clooney stating that the article was printed after the journalist in question based her article on good faith after "on conversations with a long-standing contact who has strong connections with senior members of the Lebanese community in the UK and the Druze in Beirut." Clooney has since rejected the apology outright saying that it is merely a "cover-up" as the original article "never cites that source, but instead goes out of its way to insist on four different occasions that 'a family friend' spoke directly to the Mail. A 'family friend' was the source. So either they were lying originally or they're lying now." He went on to add that "it can be proved to be a lie. In fact, a premeditated lie." indicating that he intends to take the matter further. 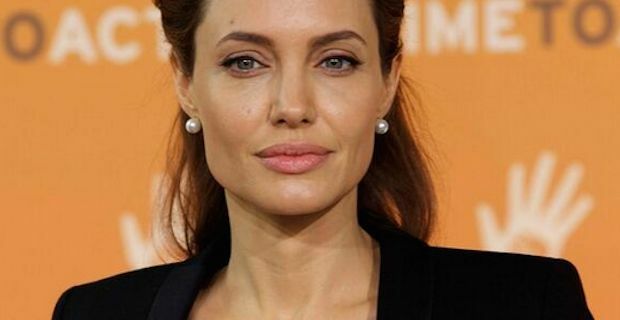 Meanwhile, an article printed this week with a video of Angelina Jolie that allegedly shows Jolie during a period in the 90s where she was addicted to heroin. The video was recorded by former drug dealer Franklin Meyer who claims he used to supply her with drugs. The clip shows a young Jolie chatting with her father Jon Voight about her brother and late mother. It is believed that Jolie has initiated legal proceedings on the grounds that the article was a "gross violation of her privacy".